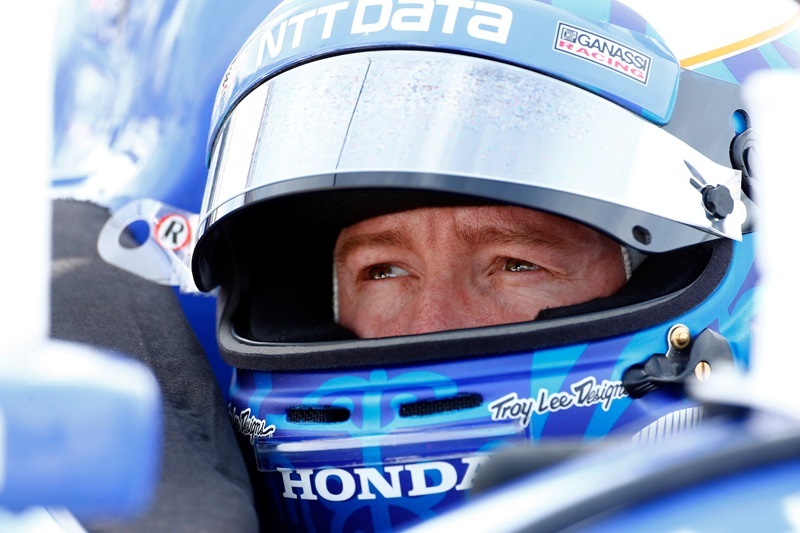 Scott Dixon broke his 2017 IndyCar win drought at Road America with a clinical combination of fuel strategy and bold moves. The Championship leader extended his advantage in the standings to 34 points by beating a hard charging Josef Newgarden and pole-sitter Helio Castroneves to the win. The Penske 1-2-3-4 qualifying performance had been very ominous for race day. But the outright speed of the Penske Chevrolets was nullified by Dixon and Chip Ganassi Racing’s combination of fuel saving, quick pit work and opportunistic moves. Somewhat unbelievably this was Dixon’s first win at Road America. Simon Pagenaud and Will Power made it a 2-3-4-5 finish for Penske. The Chevrolet quartet will be hugely disappointed not to take home the win after dominating most of the weekend. It was a demoralising race for drivers pitting in front of Scott Dixon. The championship leader and his Chip Ganassi crew were on top form saving fuel whilst running competitive lap times. The Kiwi jumped Will Power on the first round of pit stops and replicated it again on Castroneves at the second round. Since Dario Franchitti retired there simply is not any other driver/team combination who can ‘make’ fuel so well. Dixon’s Road America performance was not just a strategy drive. His pass around the outside of Newgarden on the lap 31 restart was a combination of bravery and skill on cold tires. The Penske driver held the inside line but got all crossed up on exit, allowing Dixon to push his Honda around the outside and in to a lead he would retain to the checkered flag. A full course caution with 10 to go for Tony Kanaan’s shunt at the kink complicated matters. But nothing fazes the ‘Iceman’ who nailed the final restart with 7 laps remaining. The second stint at Road America belonged to Josef Newgarden. The Nashville native pulled off an awesome pass around Helio Castroneves on lap 20 in to turn 1 for the lead. Newgarden then pulled out a healthy lead to run a strong second stint. After the second round of stops Newgarden ran strongly one on one with Dixon on the restart but then struggled to maintain pace. Eventually falling back behind teammate Castroneves. 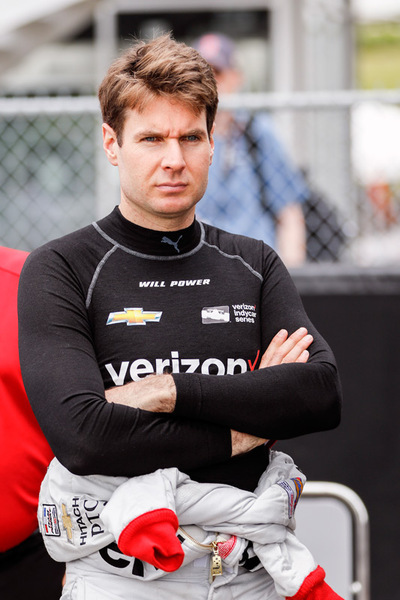 In the final stint he was robust in his defence against teammate Will Power on cold tires but really came in to his own trying to chase down Dixon. The Ganassi driver had scampered in to a healthy 2 second lead with 5 laps to go. Newgarden responded by narrowing that to under a second. But even with a healthy push to pass allocation remaining Newgarden came up just short. A welcome return to form after the difficult race in Texas last weekend. While all the attention was focused on his returning, F1-refugee teammate Ed Jones quietly went about racking up more points for Dale Coyne. Qualifying 11th the British driver stayed out of trouble and ran the preferred 3 stop strategy to come home 7th. It may not be a win or a top 5 but Jones has performed beyond his experience since Sebastien Bourdais’ season-ending shunt at Indianapolis. Jones has steadied the Dale Coyne Racing ship and continues to rack up solid points, sneaking in to the top 10 in the point standings at Road America. The Kohler Grand Prix offered up more head in hands moments as the race director dwelt on pit stop ‘excitement’ whilst drivers were dicing for position on track. A case in point was the extended review of Marco Andretti’s electrical problems whilst Rossi and Power diced for 4th place on lap 14. Similarly as Dixon and Helio raced for 2nd place on lap 24 the director took us off to watch Carlos Munoz complete an unimportant pit stop. With 5 laps to go the fight for the win between Dixon and Newgarden was deemed inferior to the battle for 13th. Honestly, you had to wonder whether the TV director had watched an IndyCar race before. Despite dominating the weekend at Road America, Team Penske still came away from Elkhart Lake with no winners trophy. Scott Dixon and Chip Ganassi Racing were in inspired form but there will be some head scratching going on during Sunday’s debrief. In any other form of motor sport not winning after a 1-2-3-4 qualifying rout would be unforgivable. The Captain will not be happy but he more than most knows how good Scott Dixon is at turning up and ruining the party. On the plus side, Pagenaud and Castroneves remain well positioned in the championship to chase down Dixon. Power was back to running some very questionable and dicey defensive manoeuvres. Throughout the field the fine line between defensive driving and blocking was blurring but Power appeared to be the biggest culprit. Against Rossi and Pagenaud in the opening stint the Aussie was forced to hand places back after baulking the Andretti driver and his teammate. When Power is on form he is often imperious at road courses. When he is not the red mist seems to descend and overly aggressive driving comes to the surface. Given the massive shunt that took Tony Kanaan out of the race, IndyCar probably got a bit lucky there was nothing more serious. Following his back-to-back wins in Detroit, Rahal looked set to kickstart his season. In the opening laps he seemed racey and his move around the outside of turn 1 on the opening lap was sublime. Unfortunately Rahal struggled not to destroy the alternate red Firestone slicks. Pitting early in the first stint his performance on the primary tire was little better. Rahal came home 8th but should be disappointed. The Rahal Letterman Lanigan Racing squad have struggled all season to unlock the potential of the Honda package as the likes of Ganassi and Andretti have hit top gear. After Detroit it looked like RLL had found the key but the performance at Road America suggested they still have worked to do. Hopes were high for Marco Andretti after he secured a seasons best 8th on the grid. Race day had a familiar feel to it as the third-generation Andretti slipped down the field. Electrical issues resulted in a prolonged early pitstop and a dismal run to an 18th place finish. Admittedly his teammates were not marching off in to the distance at Road America but Alexander Rossi was mixing it at the front for a while – albeit on the alternate 4 stop strategy that came to nought. Short of suggesting a witchdoctor to lift the ‘curse’ on Andretti’s IndyCar career, it is hard to see where the breakthrough is coming. IndyCar’s resident Ironman really struggled this weekend. Maybe it was a Le Mans hangover or the Penske onslaught but the Brazilian did not run well in qualifying or the race. His race ending shunt at the kink was scary and undoubtedly a painful one. At first glance it looked like a case of dangerous blocking by Alexander Rossi – clipping Kanaan’s front wing and spearing him into the outside armco barrier. Upon review it was more a mis-judged overtake by the 2004 IndyCar champion that triggered his shunt. After the criticism of his driving at Texas and role in the ‘big one’ that eliminated much of the field, Kanaan will benefit from the 2 week break until Iowa. TK is in need of some R&R and time to reflect on a crazy few weeks. As fuel saving races go this one was pretty entertaining. The extend race length (kudos to IndyCar for that move) encouraged those lacking ultimate pace to go for a risky 4-stop strategy. In the end it did not pay off but it made for some thrilling racing as drivers emerged from stops on cold tires and straight in to battles with those on other strategies. Dixon put on another masterclass of tactical IndyCar driving. The 4-time IndyCar champion was fast when he needed to be, fuel efficient throughout and clinical when it came to the big moves. Josef Newgarden gave the race an engaging climax as he attempted to chase Dixon down and the ‘elbows’ out overtaking throughout the field was thrilling (and more than a little dangerous at times).